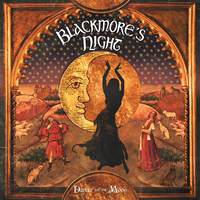 Since 1997, Blackmore´s Night enchant us with their soft tunes and guide us through bygone times and different worlds, far away from the stress of modern life. Each of their eight records sweeps away the stress from our shoulders and so we are able to relax. Their latest record is called “Dancer and the Moon” and it is at least as good as the previous ones. Always new melodies and old, medieval instruments have found their way onto the album. For example, “Troika” is inspired by Russian folk music. In addition, there are also some cover versions on the album: For example, Randy Newman´s “I think It´s Going to Rain Today”, Uriah Heep´s “Lady In Black” and “The Temple of the King”, which Ritchie wrote together with Ronnie James Dio for Rainbow. Great songs, which get a total make-over through Candice Night´s vocals. What I notice immediately is that Candice´s doesn´t sing as high as on earlier records. She changes between angel-like and normal voice, which makes the listening experience a lot more pleasurable because nowadays, I think, there are already enough of those siren-like voices everywhere. The album has a few more treats in store for the listener. Especially “The last Leaf” is a very emotional song. There´s also a tribute to Jon Lord, a former band colleague of Ritchie Blackmore, on the album, titled “Carry on…Jon!” As usual, I couldn´t find anything to criticize on the record - harmonies, melodies, guitars and also the vocals fit perfectly together. Anyone who wants to dream again and let his/her fantasy fly in a world full of hate and destruction is adviced to buy this record. 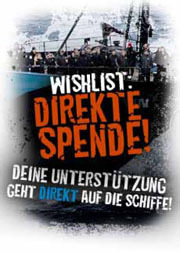 It´s simply awesome!